The mission of the SLHS department is to educate students on the processes of hearing, speech, language, cognition, and swallowing, to engage in the scientific study of human communication and its disorders, and to serve the community of individuals with communication disorders or differences. In all endeavors the department strives to foster a culture of inclusiveness and respect. The department offers an undergraduate program in Speech, Language and Hearing Sciences as well as three graduate programs – 1) M.A. in Speech-Language Pathology; 2) Au.D. in Audiology; 3) Ph.D. with five areas of emphasis. The undergraduate concentration is a pre-professional major within the liberal arts and sciences curriculum. Upon graduation, students pursue studies in one of two distinct areas offered within the graduate program leading to either professional or research degrees. 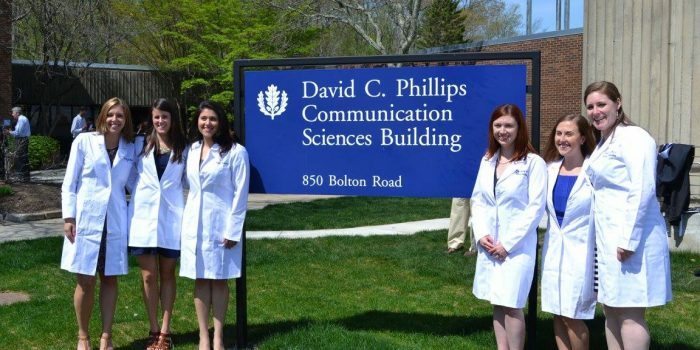 Clinical experiences in speech language pathology and audiology are important components of these degree programs and are offered in the UConn Speech and Hearing Clinic (located in the D.C. Phillips Communication Sciences Building) as well as at several external sites. Off-campus placements include acute and rehabilitation hospitals, long term-care facilities, out-patient clinics, birth-to-three agencies, schools, and private practice settings. 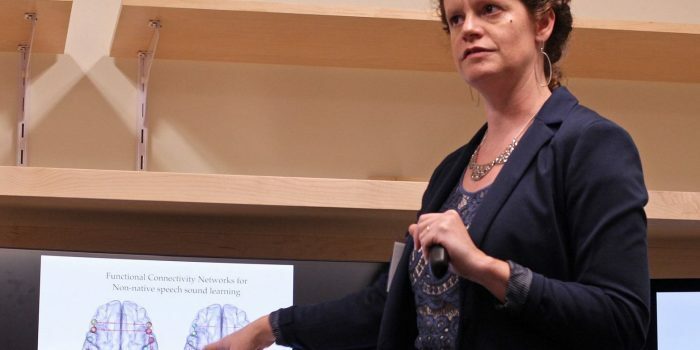 Five areas of emphasis are offered for the research Ph.D. degree: (1) speech pathology, (2) language, (3) audiology, (4) speech science, and (5) hearing science. The curriculum for the full-time program involves broad-based coursework and mentored experimental investigations followed by dissertation research. The master’s education program in speech-language pathology and the doctoral education program in audiology at the University of Connecticut is accredited by the Council on Academic Accreditation in Audiology and Speech-Language Pathology of the American Speech-Language-Hearing Association, 2200 Research Boulevard, #310, Rockville, MD 20850, 800-498-2071 or 301-296-5700. You can find Student Outcome data for recent graduates here. 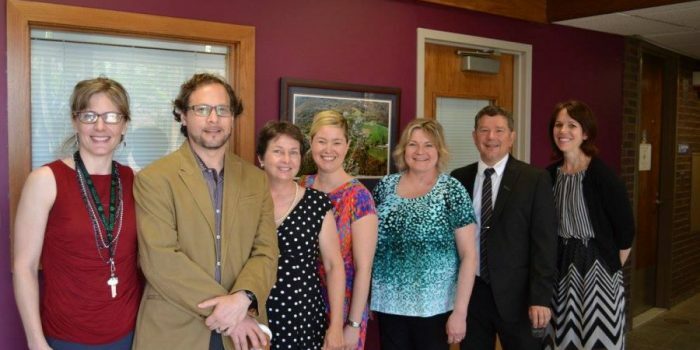 SLHS is an enthusiastic part of the University committee that promotes and encourages Interprofessional Education and Interprofessional and Collaborative Practice. 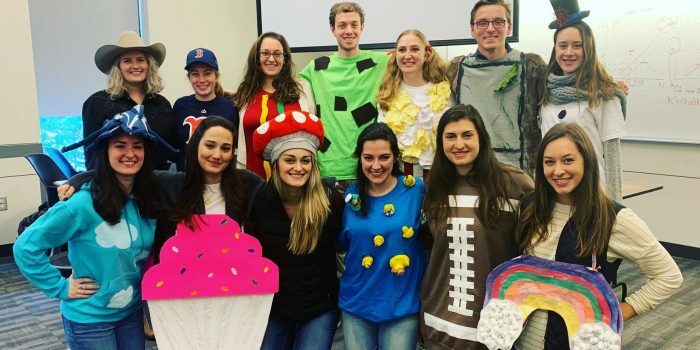 A graduate student in audiology and an undergraduate student in speech-language pathology serve on the Student Advisory Committee and two faculty members serve on the main committee (CIPEH). In all, there are 11 professions and programs represented on the committee. See their website for more information on what the committee is working on this year. 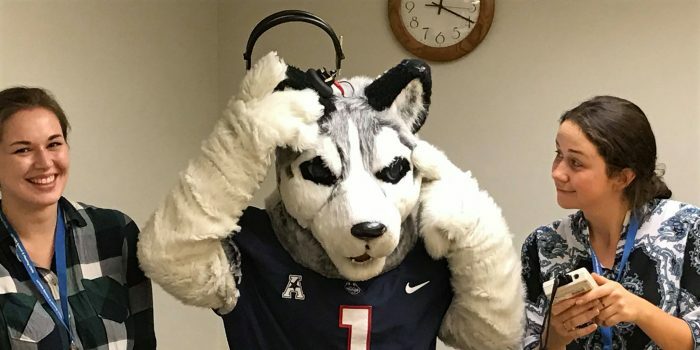 We greatly appreciate the selflessness of donations from our alumni, clients and general community in order to enhance both the services within the department and the UConn Speech and Hearing Clinic.